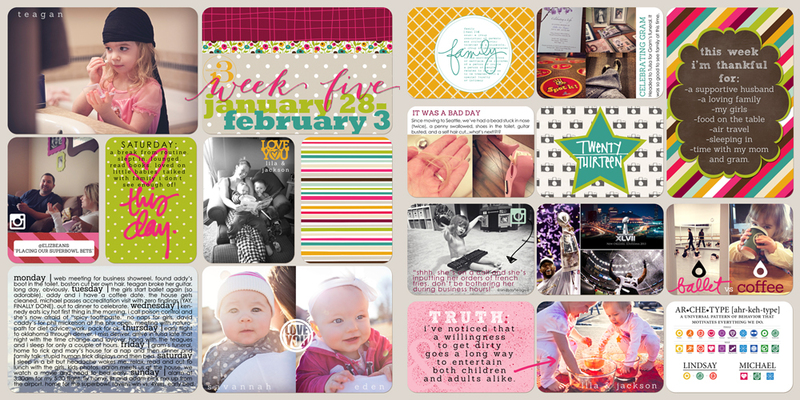 Welcome to Week 5 of Project Life. Seems crazy that we’re this far into the year. Don’t get me wrong, I’m excited about spring and summer coming right around the corner!! See? He’s a better person! Not a mention of my most important job as a mom in my results. Whoops. Lucky me, I guess.